London, UK – November 20 2017 – Visa Inc. (NYSE: V): New research compiled by IHS Markit for Visa predicts a fall in UK consumer spending this festive period, the first decline since 2012. Reflecting a challenging economic environment, characterised by falling real wages, tepid economic growth and ongoing uncertainty, consumer spending during the crucial 2017 festive period is expected to be 0.1% lower in real terms when compared to the same period in 2016. This is in stark contrast to the 2.8% growth in spending recorded during the 2016 Christmas season. The research anticipates a decline in spending on the high street, down -2.1% on the year during the November/December period. This is the third successive year that face-to-face spending has fallen and the biggest contraction recorded since 2012. In contrast, e-commerce is forecasted to increase by 3.6% over this Christmas period, accounting for a record share of this year’s Christmas spending. Of every £5 spent during the November/December period, it is anticipated that almost £2 will be spent online. A separate consumer survey conducted by Visa suggests that this trend has been partly driven by the rise of mobile shopping. The survey reveals that 63% of online shoppers like the flexibility of shopping on the go, with almost half (48%) of consumers intending to use a mobile device to purchase presents this Christmas. The ease of finding and paying for products, as well as the ability to compare prices and reviews before buying has also made mobile shopping more appealing. Given the increased squeeze on household budgets, consumers are changing their shopping priorities. Transport & Communication is set to record the most notable reduction in consumption at -4.5%, attributed to falling spend on Christmas getaways. Clothing & Footwear and Household Goods sales are expected to be slightly down too, at -0.5% and -1.0% respectively. In contrast, domestic Hotels & Restaurants are anticipated to see the greatest rise, +3.4%, which could be attributed to weaker sterling as families opt to spend Christmas closer to home. A marginal growth of +0.9% is anticipated in Recreation & Culture, well down on 2016’s rise of +7.9%, and the weakest increase since 2012 as consumers restrict their purchases of non-essential items. Food & Drink is set to record a flat Christmas, halting a three-year growth period. There are also changes in the Christmas shopping cycle, with consumers starting their festive shopping earlier to capitalise on Black Friday discounts. 43% of shoppers surveyed by Visa expect to complete the majority of their Christmas shopping by the end of the Black Friday/Cyber Monday weekend. Whereas, only a very small proportion of consumers (4%) plan to leave it until the last week before Christmas to complete their shopping. “While it still looks likely that consumers will be hitting stores and websites in search of bargains this Black Friday and Cyber Monday, we expect spending for the duration of the festive season to be lower in comparison to last year. “Looking back, consumers were in a sweet spot in 2016 – low inflation and rising wages meant there was a little extra in household budgets to spend on the festive period. 2017 has seen a reversal of fortunes – with inflation outpacing wage growth and the recent interest rate rise leaving shoppers with less money in their pockets. IHS Markit produced the Christmas Spending Predictions 2017 for Visa based on trends recorded in the Visa’s UK Consumer Spending Index. 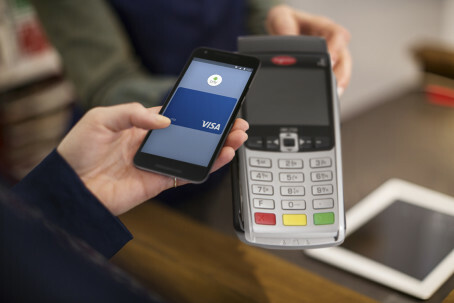 Utilising Visa’s unique position at the heart of the payments ecosystem – with £1 in every £3 spent in the UK on a Visa card – Visa’s UK Consumer Spending Index is designed to provide a monthly assessment of underlying consumer spend patterns in the UK economy. The Index is based on data for all Visa debit, credit and prepaid cards held by UK cardholders, with a number of adjustments made to ensure an accurate indication of consumer spending trends is provided. The predictions cover consumer spend over the November and December period as a whole.